At a time when the forces of obfuscation in America are engaged in a campaign against the theory of evolution on behalf of Intelligent Design, it is perhaps worth asking Zeilinger how the idea that there is no difference between in formation and reality can be compatible with the emergence of information processing systems such as we are from a lifeless reality. And it is perhaps also worth asking the editors of Nature how, at a time when, rightly, papers on Intelligent Design are consistently rejected by peer-reviewed journals, an essay like Zeilinger’s is not. Maybe this suggests that reality and information are two sides of the same coin, that they are in a deep sense indistinguishable. Anton Zeilinger is widely respected, and often mentioned as a candidate for a Nobel Prize if one were ever to be awarded for quantum foundational word related to Bell's Theorem. We don't know that anything is irreducibly random, or that there is any such meaningful concept. We do know that certain quantum phenomena seems random, and cannot be explained as just the random sampling of local hidden variables. But random just means difficult to predict. We say that coin tosses are random because it is impractical to predict the outcome, but maybe not impossible. A free neutron has a half-life of 15 minutes, so that might seem irreducibly random. 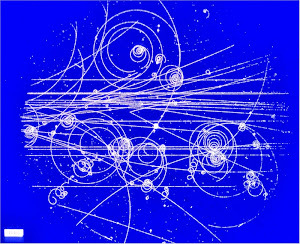 But we now know that a neutron is composed of 3 quarks and many gluons, so the decay may be reducible to the mechanics of those particles, and those may or may not be deterministic. Meanwhile, Slashdot asks Are We Entering a "Golden Age of Quantum Computing Research"? Bell's Inequality was discovered a century ago before QM even came into being. It applies to classical mechanics and its violation has nothing to do with QM. In essence, these so-called proofs of QM are not proofs at all. The Copenhagen interpretation (wave-particle duality and the complementary principle) is complete garbage. Semiconductor theory is completely based on the wave nature of the electron. Only the wave version of quantum mechanics -- the Schrodinger equation-- is valid. 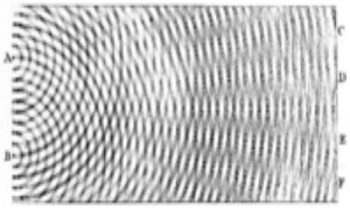 This was later confirmed in STM experiments where you could actually see the wave function -- a real quantity that could be observed. Only wave mechanics can capture the physics of the ultrasmall and the ultrafast. Heisenbergs Matrix Mechanics is based on a particle viewpoint of QM and it does not work in building semiconductor devices. Therefore, wave mechanics and matrix mechanics are not equivalent. Lots of confusion with the Quantum Computer. The QuBit (quantum bit) is not even a correct moniker. The QuBit is an analog object (incorporates qm phase factors) ...I'll leave all the rest of the errors for another time. Suffice to say that most semiconductor engineers are not excited about it. And...drum roll please, here comes the message deletion...some engineers basically say there is nothing quantum at all about "quantum effects". There is no need for probabilities because those effects within the device are clearly causal, and that the changes in the device properties are observable and reliable. In other words, the role of quantum mechanics causes well-defined, predictable changes to the potential structure within a device. Therefore, the device retains its classical behavior even at the smallest possible size. Roger, ask yourself why Bohr brow beat Schrodinger about his wave theory until he was actually physically ill? Ask yourself why Lubos Motl does basically the same thing...proof by intimidation!!! And ask yourself why String Theory was really invented...and why it treats QM as if its the holy gospel. Its all fraud man...the only reliable people who know this stuff are the device builders and Lubos Motl has never built anything. And you state 'science is about truth'? Mathematical proofs? I mean that Peter Woit guy doesn't have a clue about QM and hes bookmarked by every condensed matter physicist on the internet. How truly laughable the state of science is today. Its an authoritarian racket controlled by the money creation masters. They want god to be in the QM mystery box so they can rule the stupid masses. Who friggin cares. The bums of the universities are history. The glorious solar cell can't even make a dent into supplying energy demand. Y'all can shove your computing and memory devices up your rear end. Non-hydro renewables presently contribute only 6.8% of US electricity and most of that is wind. The bums at Google with their analog computer oops meant to say "quantum" computer are a laughing stock..
Give it up already, Schalfly. .You need a real job. Why doesn't this "truth seeker" Roger Schlafly review the new book "50 Years in the Semiconductor Underground" 2015 by David K. Ferry. Thats where I got every heretic statement about QM in my post that Roger of course deleted as CRACKPOT NUTTERY. Ferry has written a book on QM too, a standard text with all the usual bs that he doesn't believe is fact any longer. Ferrys papers are extensively referenced in the Springer book "Nano-Electronic Devices", 2011. There is another book out in 2015 by the physicist Eugene Oks called "Breaking Paradigms in Atomic and Molecular Physics" World Scientific that again is critical of QM. "The book presents counterintuitive theoretical results, which were published in reputable refereed journals by the book's author and by others. These fundamental results break several paradigms of quantum mechanics and provide alternative interpretations of some important phenomena in atomic and molecular physics." No, this scoundrel Schalfly will again simply delete the posts. Why bother even having a discussion forum for the half dozen fools who actually read this blog. The author has no desire to comment, apparently just sits there in his chair and watches for comments every 15 minutes of the day.